Got the fire for archery ignited recently? Our passion for hunting the mysteries of the wild aroused in your heart? For all sorts of thirst to be satisfied, regarding archery, the first requirement of an individual will be to purchase a bow. The main key for being a successful archer is to identify the perfect weapon that will represent your skill polished and make the audience watching you drool over your action of hitting the bull’s eye. Now, moving on to selecting the perfect bow, we will be looking for important features of the cross and recurve bows. 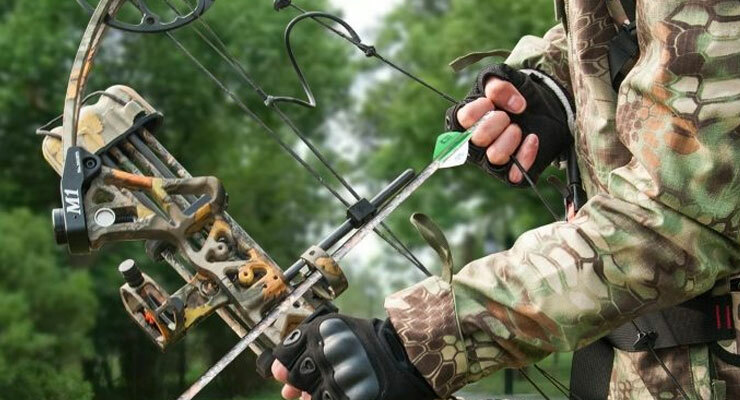 Our Crossbow vs Recurve Bow article makes you understand the basics of them. These kinds of bows have strings attached to their wooden support in a transverse position, providing the perfect mechanism to trigger and release the bowstring whilst specifying the actual target. They also provide the mechanism of bending the bow when required by an archer. The crossbow has been invented during ancient times, it was considered one of the deadliest weapon to be used during wars. An archer uses the crossbow by firing from the support of the shoulder. People with even little training in archery can use crossbows as manufacturers innovated the weapon slightly by adding firearm derived red dot sights to crossbows. The riser of the bow is made up of aluminum onto which the limbs are embedded. Limbs are components of the bows that stores kinetic energy. These limbs come in multiple layers and are made up of fiberglass to provide flexibility. The kinetic energy is provided by eccentrics when the bows are drawn. A bow’s efficiency mechanism is provided by eccentrics, which are wheels situated on the limb tips providing energy to the limbs. The arrow track provides the arrow to rest on and provides a track for the arrow to travel down when the bow is triggered. The power stroke is the distance of the string measured in inches. Crossbows have long power stroke allowing the arrow to accelerate providing faster speed for the arrow to travel. Recurve bow has been evolved from crossbows. When the bow is unstrung its tip curves away from the archer. The main thing that makes recurve bow different from other bows is that the string contacts a section of the limb when the bow is strung. Archers choose recurve bows over crossbows while using it in environments where there is the presence of bushes or when they are riding on horseback. 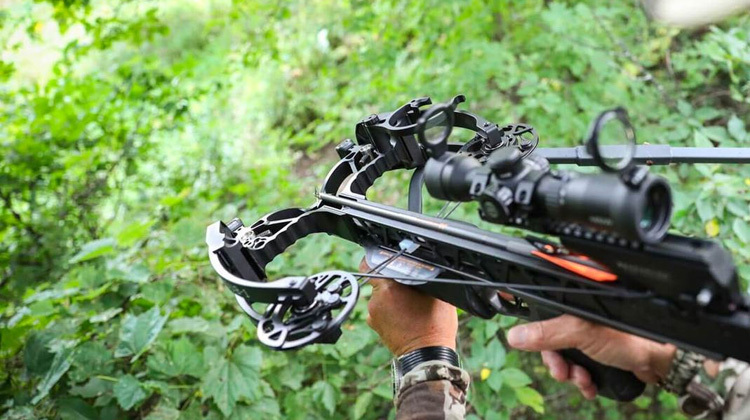 However, it also has the problem of noise production like crossbows, as greater stress applied to the materials of the bow causes stress to be applied. Manufacturing details: The riser of this bow is also made from aluminum alloy, cheaper ones are made of wood or carbon. The limbs are made of fiberglass to make it flexible. And of course, the presence of eccentrics is there, attached to a section of the limbs to provide kinetic energy to the limbs. Weight: light in weight providing arrows faster speed and greater power efficiency to hit the target, and can be carried around easily. Purposes served: used by archers for Olympic games, also outdoor games are performed by shooting while horse riding. all purposes required for gaming. As seen above, it’s a feature of having a flexible limb and a short power stroke does not make it suitable for hunting but is perfect for those who participate in games related to archery. On the other hand, people who are passionate about hunting and yet are not experts regarding archery can purchase a crossbow. As mentioned previously, it is not necessary to be trained for using a crossbow. It is definitely a worth bow to be purchased by hunters without any doubt. Although, the issue of not being allowed to use crossbows lies as a disadvantage, yet the issue can be easily tackled by purchasing recurve bow instead. To end with, a person purchasing a bow should well understand the features and the purpose he wants to use a bow for. As purchasing a bow depends on the purpose of an archer. The list of pros and cons for each kind of bows should definitely be considered and it is immensely important to have just a general knowledge of archery even if the purpose of purchasing a bow is for hunting.